The jury of the Arab Short Film Festival gave a special mention to the film 14.5mm. The film is directed by Israa and Safaa Makdah, graduates of the Action of Hope Film School. 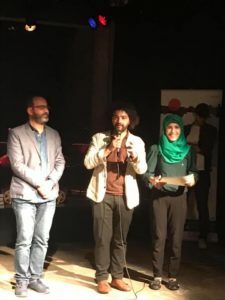 The jury panel included director Mohamed Al Daradji, Critic Essam Zakaria, Filmtographer Mureil Abou Elrous, director Assad Foldakar, and actress Julia Kassar.